Australians currently use over 4 billion plastic bags at the checkout every year. Making a change is simple; next time you shop just say 'no thanks' and use your own bag. The production of plastic bags is depleting our non-renewable fossil fuels and killing thousands of sea creatures and birds. The costs are not just environmental, the cost of plastic bags amounts to $100 million a year, which is added to our grocery bills. It seems such a dreadful waste when you consider that most plastic bags are used once and thrown away virtually hours after use! The good news is that change is happening, even if it's at a snail's pace! A number of stores such as Bunnings, IKEA and Target have banned or charge you for bags. There are also towns throughout Australia who have banned the bag completely and South Australia has banned bags at all retail outlets. 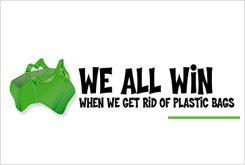 So why don’t you do your bit and keep a reusable bag in your handbag, and a pack of them in the boot of your car. 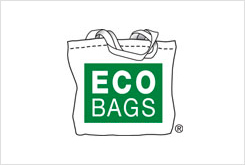 At Eco-Bags Products, our primary purpose is to create and offer thoughtfully produced and sourced products that help people reduce, re-use and recycle. The products we offer are manufactured and chosen with an uncompromising commitment to the highest regard for ethical and sustainable production, for both the people and the environment. 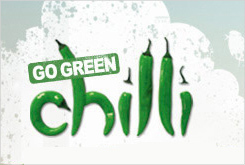 We are passionate about living greener, simpler and more abundant lives, sharing our commitment for the environment and having fun while doing it. We believe that less can be more. Our business choices are driven by two age-old sayings..."Leave no trace," and "Do no harm." Our guiding philosophy is our belief that everyone can make their own best effort to live lightly on the earth and live more gently with each other. Canvas tote bags, greenbag, totes with quotes, produce bags, classic string bags, organic bags, gecko traders, reusable water bottles,bamboo reusable utensil sets, recycled bags, hemp bags, loofah-art scrubbers, chicoBag, lunch bags, woven bags, spa and travel bags. 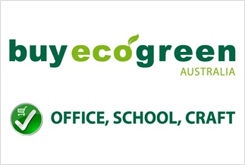 BuyEcoGreen is an online store with an amazing range of genuine eco office, school and craft supplies for home, office or workplace. This includes Eco Bags and Mugs, and much more. Recycled Paper Bags, Sustainable Bamboo Bags, Organic Cotton Bags, Recycled PET Bags, Jute Bags, Biodegradable Cornstarch Mugs, Bioplastic Travel Mugs, Bamboo Travel Mugs, and more. The ChicoBag Company mission is to reduce single-use bag waste by offering compact reusable bags and packs that are designed to be unforgettable. 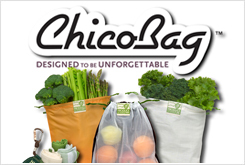 ChicoBag specializes in offering fashionable, environmentally friendly reusable shopping bags and lifestyle totes that are designed to be unforgettable. ChicoBag has been a leader in the reusable bag movement since 2005 and continues to provide solutions for every lifestyle. 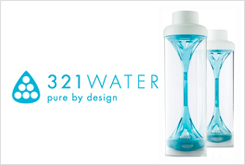 321 Water is the most stylish way to stay healthy and hydrated. Simply fill 321 Water from the tap then plunge with one fluid movement to create freshly filtered and great tasting water. 321 Water evolved in response to a growing social awareness regarding the environmental impact of bottled water. 321 Water is the first BPA-free bottle to be manufactured in Australia. Sustainable, Australian bag & bottle innovation for people that need Style, Convenience and Practicality. 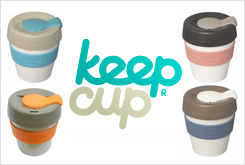 KeepCup is the first barista standard reusable cup and the number one choice for sustainable coffee consumption. KeepCups are made from plastic so they are lightweight, easy to carry and have low embodied energy in manufacture. They are BPA free and non toxic. They are barista standard because they replicate standard takeaway sizes and fit under the group heads of most espresso machines so that your coffee is made in your KeepCup. KeepCups are lightweight, dishwasher safe, microwaveable and splash proof. KeepCups fit into most car cup holders and many bicycle bottle holders. Designer reusable bags that spread the eco-friendly message with style. Tested for strength and safety, fully washable, wont fade, water-resistant. Kids bags, green grocer, organic series. 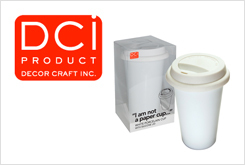 Porcelain cup with silicone lid & sleeve to replace throwaway coffee cups. Double walled; thermal ceramic cup with silicone top. 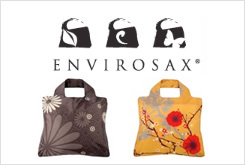 Sustainable bag solutions for retailers Great list of a variety of safe bags that are 100% carbon neutral. Biodegradable paper based totes, Jute, calico, bamboo, 80% PET bags, recycled totes in all different shapes, sizes and handles. For Retailers: All of these bags can be customised to reflect your brand, and if you order through Chilli Promotions they are all 100% carbon neutral at no extra cost to you.